The Inmarsat 6 F1 satellite will launch aboard an H-2A rocket from Tanegashima Space Center, Inmarsat and MHI announced last week. Recent Inmarsat satellites have launched on Proton, Falcon 9, and Ariane 5 rockets operated by International Launch Services, SpaceX and Arianespace. MHI has positioned the H-2A as a secondary player in the global launch market, and the Inmarsat 6 F1 contract gives the Japanese company its second commercial telecom launch deal after the Canadian-owned Telstar 12 Vantage satellite lifted off from Tanegashima in November 2015. 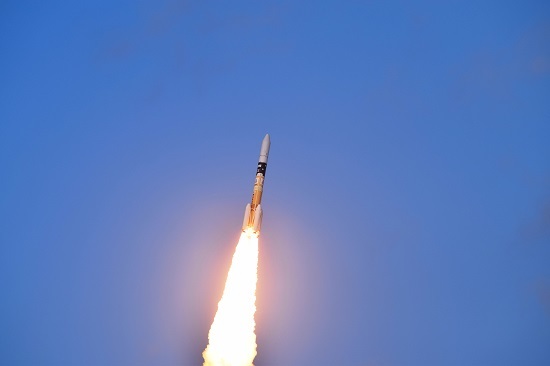 Japan’s H-2A rockets typically launch government payloads, such as navigation satellites, spy and reconnaissance craft, weather satellites and interplanetary probes. Ko Ogasawara, a vice president at MHI and director of the company’s space systems business development department, said the H-2A rocket’s track record was the selling point for Inmarsat. MHI is prime contractor responsible for construction of H-2A rockets, and the company is also in charge of H-2A launch operations. Ogasawara told Spaceflight Now that the Inmarsat 6 F1 satellite will launch on the “204” version of the H-2A rocket, the vehicle’s most powerful configuration with four strap-on solid-fueled boosters. MHI has won two other international launch contracts for rideshare flights with South Korea’s Kompsat 3 Earth observation satellite launched in 2012 and the KhalifaSat imaging satellite from the United Arab Emirates set for liftoff next year. The UAE’s space agency also selected an H-2A rocket to launch its robotic Mars orbiter to the red planet on a dedicated flight in 2020. MHI and the Japan Aerospace Exploration Agency are working on the new H3 rocket set for a debut launch in 2020. The H3 rocket is designed to be more competitive in the commercial market, with prices around $50 million, about half that of an H-2A flight. Designers are working on several versions of the H3 with two or three hydrogen-fueled first stage engines, and zero, two or four solid rocket boosters. The heaviest model of the H3 will deliver at least 14,000 pounds — about 6.5 metric tons — to geostationary transfer orbit, the drop-off target for most large communications satellites. The H3 will replace the H-2A and H-2B rockets in MHI’s current fleet, and officials hope to double the H-2 family’s current flight rate of around four missions per year. 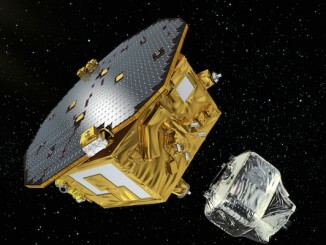 The Inmarsat 6 F1 satellite, built by Airbus Defense and Space, will provide L-band and Ka-band communications services. 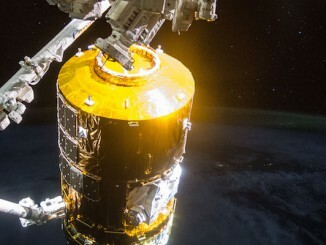 It will be the first Inmarsat spacecraft to broadcast signals in two bands, supporting the company’s business beaming connectivity to ships, airplanes and other users on-the-go. 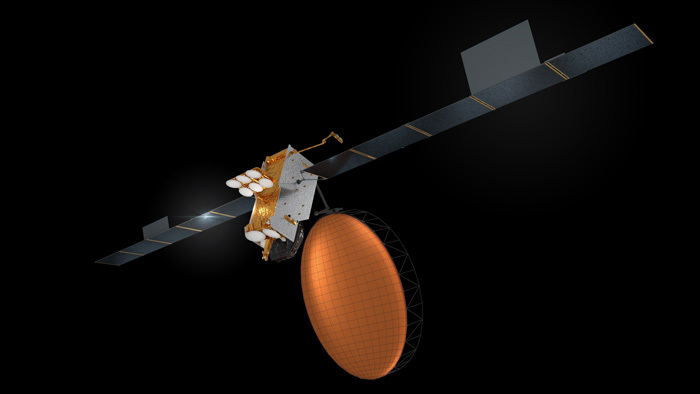 Inmarsat signed a $600 million contract with Airbus for two Inmarsat 6-series satellites in 2015. Each spacecraft will use electric thrusters to maneuver from an egg-shaped transfer orbit into a final circular perch more than 22,000 miles (nearly 36,000 kilometers) over the equator. The launch contract for the Inmarsat 6 F2 satellite will be determined in “due course,” Inmarsat said.